What is antibiotic resistance? If you’ve ever been prescribed antibiotics that just didn’t seem to help, read on. 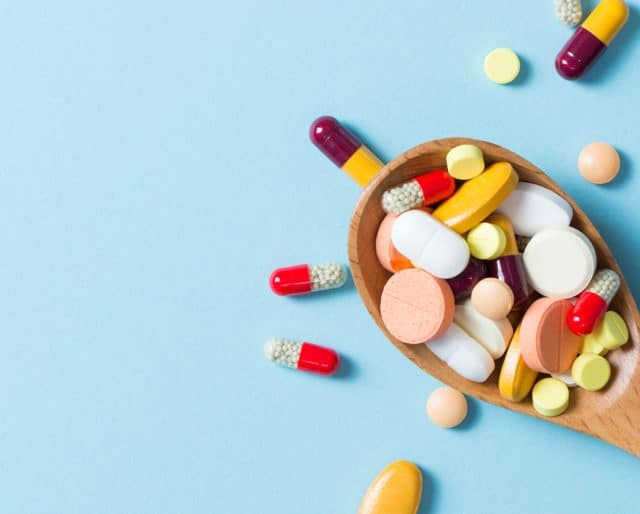 The World Health Organization (WHO) defines it this way: “Antibiotic resistance occurs when bacteria change in response to the use of these medicines. Bacteria, not humans or animals, become antibiotic-resistant.” Apparently, when bacteria encounter antibiotics, they do what any of us would do when faced with something life-threatening: they defend themselves. And they do this by developing resistance to antibiotics. WHO is focusing on this issue during World Antibiotic Awareness Week in 2018. ​The World Health Organization (WHO) considers antibiotic resistance a high priority. To tackle it, a global action plan on antimicrobial resistance, including antibiotic resistance, was endorsed at the World Health Assembly in May 2015. This plan aimed to ensure prevention and treatment of infectious diseases with safe and effective medicines, and also inspired World Antibiotic Awareness Week. Sir Alexander Fleming continued the research into the antibiotic powers of molds, theorizing about the existence of a molecule produced by certain molds that kills or stops the growth of certain kinds of bacteria. Based on results of experiments with spores of a particular mold, Fleming realized that the mold must secrete an antibacterial substance, which he named penicillin in 1928. However, the antibiotic we know today as penicillin would not be fully developed until World War II. In Germany in the late 1880s, Paul Ehrlich recorded notes saying that certain dyes would color human, animal, or bacterial cells, while others would not; based on these notes, he proposed creating chemicals that would bind to and kill bacteria without harming the human host. After screening hundreds of dyes against various bacterial organisms, he discovered salvarsan (now call arsphenamine), the first antibacterial medicine. Following up on mold research by doctors such as Sir William Roberts and Louis Pasteur, an Italian physician named Vincenzo Tiberio published a paper on the antibacterial properties of some extracts of mold.​ His discoveries would help lead directly to what we think of today as modern antibiotics such as penicillin. Preventing infections from happening in the first place is possibly the best defense against antibiotic resistance. Basic cleanliness is the rule: wash hands frequently, keep cuts and scrapes cleansed and properly bandaged, and minimize contact with family members when they're sick. Keeping the home environment clean also contributes to overall health and well-being, as does taking care to properly wash and prepare foods that are known to be potential bacteria-spreaders, like raw chicken and other meats. Sounds like common sense, but this is a great week for a reminder to be extra vigilant! Did you know that your mood can contribute to your overall health? Studies have proven that people who describe themselves as actively happy have a much lower rate of bacterial infections and other diseases. And when they do get sick, they're back on their feet much more quickly. So this week, let's all focus on doing things that make us happy, whether that's dancing around the house, singing karaoke-style, or just taking a long stroll to enjoy the fall foliage. Seems like a simple way to increase your own illness resistance! ​During World Antibiotic Awareness Week, it's important to remember that we are all potentially affected — no matter where we live or how advanced our medical education and practices may be. ​When microorganisms are exposed to an antibiotic, the weaker microorganisms are killed, leaving behind the more resistant ones, which can pass on the greater resistance to their offspring. ​Simply taking antibiotics in the wrong dosage (either too much or too little) can increase the possibility of resistance by not effectively treating the infection, so be sure to ask your doctor if you don’t understand how to use your medicine. ​Worldwide, quality control for medications tends to be weak, and when sub-standard drugs are administered, they may not be as effective as they should be in eradicating bacterial infections, which in turn makes it more likely the infection can be spread. ​Ironically, hospitals, with all their sterile practices, are consistent contributors to the problem of antibiotic resistance, because patients hospitalized with infectious diseases can pass those organisms to other patients, increasing the likelihood of resistance developing. It's easy to think that it's up to our doctors to take care of our health, but the opposite is true: we have to assume responsibility for ourselves. And that means educating ourselves as much as we can, so that, when we do need to visit a doctor, we come prepared with facts, details, and questions that will help the medical professional quickly reach a diagnosis and prescribe appropriate treatment. With the World Health Organization focusing this year on antibiotic resistance, it's the perfect time to educate ourselves on this topic. If this week happens to coincide with a trip to your doctor, and your doctor prescribes an antibiotic, ask him or her about the medication: why is that particular antibiotic appropriate for your particular illness? What results can you expect, and how long will that take?